The much-awaited device from Coolpad Cool Play 6 was launched recently with a powerful 6GB RAM. It is expected to arrive in India at around Rs. 14,000. 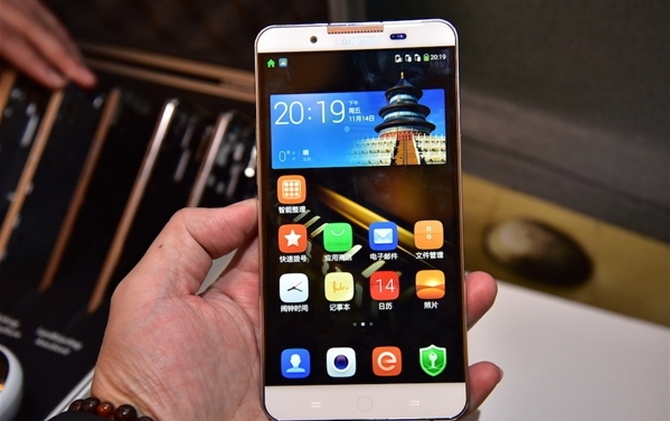 Chinese smartphone maker Coolpad recently launched the Cool Play 6 latest mid-budget smartphone in China for CNY 1,499. Coolpad Cool Play 6 though a mid-range smartphone comes with the specs that are similar to the latest flagship models across the globe. The smartphone carries an attractive metal body with the fingerprint sensor mounted on the rear side. One of the most interesting features of the device is that it comes with a whopping 6GB of RAM. Cool Play 6 runs on Qualcomm’s Snapdragon 653 octa-core SoC and Adreno 510 Graphics set up. It comes with a built-in 64GB of storage, which is expandable via microSD card. The smartphone maker offers a customised user interface that is based on the latest Android 7.0 Nougat OS. The device also sports an 8MP selfie-shooter above its 5.5-inch full-HD display. Another important aspect of the device is that it is loaded with a 4060mAh powerful battery that can offer a maximum of 252 hours of standby performance. The Coolpad Cool Play 6 also sports a 13MP dual-camera set up along with a dual-LED flash and a dual-tone flash sensor on the rear side. The device is also equipped with dual speakers adjacent to the Type-C USB port at the bottom. The device is indeed a double treat for customers who want a high-end smartphone at a lower price range. For now, the device is available only in China. It is yet not known if the Coolpad Cool Play 6 will be made available for the Indian smartphone market. If the device comes to India, it is expected to be priced at approximately Rs.14,100. It is notable that Coolpad Note 5 and Note 5 Lite were on sale at the Amazon Great Indian Sale between May 11 and May 14, 2017, for Rs. 9,999 and Rs. 6,999 respectively.